You know that your child’s earliest experiences set the stage for their future social, emotional and educational well-being. You want them to be safe, happy and well cared for. And, you want them to be ready for the next stage in their development. You can expect all of those things from The Cary School for Development and Early Education. But we understand that you want to do your own research and make an informed decision about where the best place for your child is when they aren’t with you. Our Cary School team has put together this list to assist you in your evaluation of infant and toddler childcare providers. Set your priorities: Decide what is most important to you and then stick to your priorities. One size does not fit all when it comes to infant and toddler care. You know best what your child needs. Make a list of your priorities so you don’t get distracted by things that may not really be important like expensive equipment or a fancy environment. 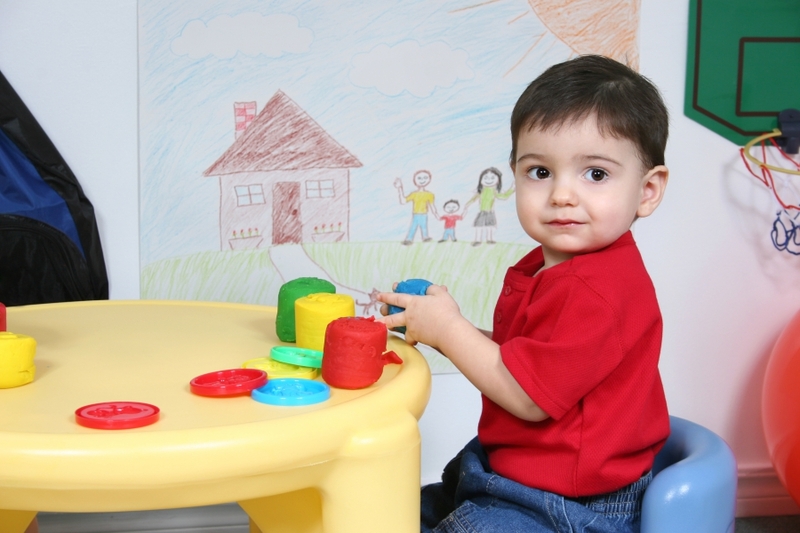 When you visit a potential childcare facility for your infant or toddler, make sure everything meets your standards. If you have concerns, ask right away. You are your child’s advocate. If you don’t like an answer you get, ask again. If you leave feeling unsure, keep looking. Unhappy caregivers, unattended babies, grouchy administrators, and a general lack of activity are all signs you should pay attention to. A room full of babies should be full of activities and smiles. If it isn’t, trust your gut and cross that facility off your list. Ask for proof of staff qualifications. Watch the staff with the children in their care. Are they talking to them, laughing with them, interacting with them in ways that are going to benefit their social, emotional, and cognitive development? Are they patient? Talk to staff members. It is not unreasonable to ask to speak one-on-one with staff members that will be caring for your child. If, for any reason, you are discouraged from meeting caregivers, take that as a sign that the day care facility’s promises may not live up to reality. Are infants and toddlers able to maintain a routine that fits with your schedule at home, or are schedules strictly dictated by the staff? Find out if the staff is qualified to handle your child’s unique needs. Potty Training is something to consider for your toddler. How does the staff handle toddlers that have started potty training? It is important that they are able and willing to reinforce what your child is learning at home. Even before you choose a daycare provider for your infant or toddler, make a couple of visits at different times of day. Your visits will be enthusiastically welcomed by staff who understand how important it is for you to find the right place for your child to spend their days away from you. If you aren’t allowed to make unannounced visits, this is another sign that you might want to keep searching for the right place. If you are breastfeeding and want to come by on your lunch hour to breastfeed, make sure that you’ll be welcomed and encouraged to do so. That decision should be yours to make, not the daycare center’s. We hope these tips have been helpful. And we hope you’ll consider The Cary School for Development and Early Education. We’d love to meet you and your child and help you determine if we are the best fit for the both of you.